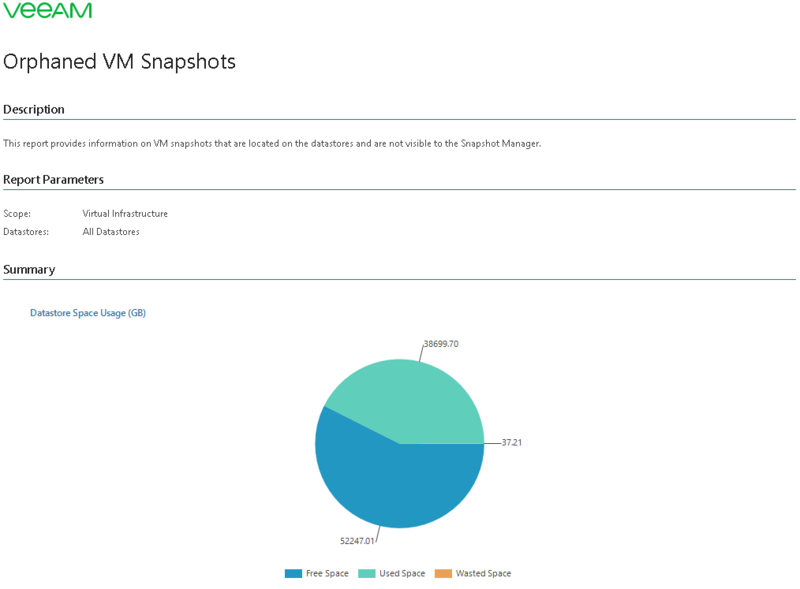 This report detects VM snapshots that reside on datastores but do not show up in the VMware Snapshot Manager. The Datastore Space Usage (GB) chart displays the total amount of free space, amount of space consumed by files other than orphaned snapshots and amount of space consumed by orphaned snapshots on datastores from the selected scope. The Details table provides the full list of datastores with folders that contain orphaned snapshots. 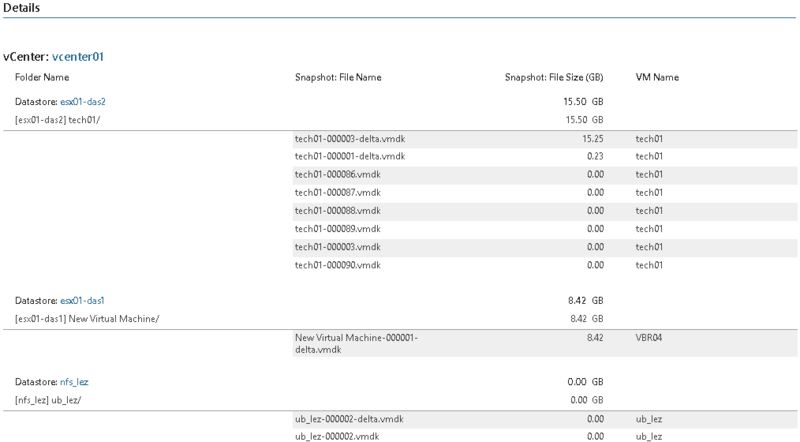 The red color bar in the Snapshot: File name column shows how much datastore space is used by each folder with orphaned snapshots. Orphaned snapshots consume valuable storage resources. Use this report to discover locations of useless snapshots that can be deleted to reclaim additional storage space. Datastores: defines datastores to analyze for the presence of orphaned snapshots.